The Blog » Olive is 6 Months old! Pretty little baby Olive is on the Baby Plan making it easy to photograph the major milestones during her first year of life. 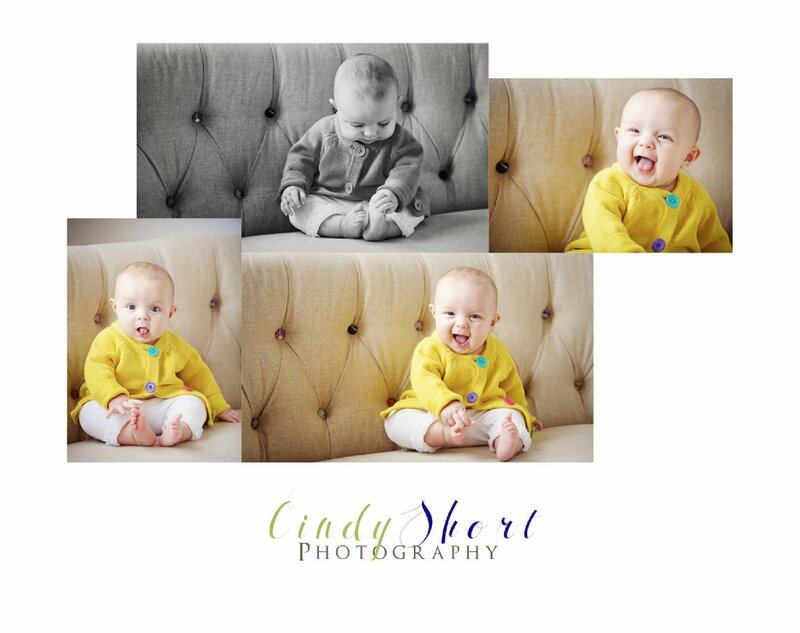 Since Olive's Six Month Session - where I get to capture her sitting up all by herself! - fell in the frigid month of February, I planned an indoor session using window light. So Olive and her Mommy came over and I photographed her in the cozy warmth of my living room. Olive began her session dressed to kill in a darling jumper handmade by the amazing Candace Shurley (check out her shop at Red Valentine) and sitting on a blanket handmade by Grandma. 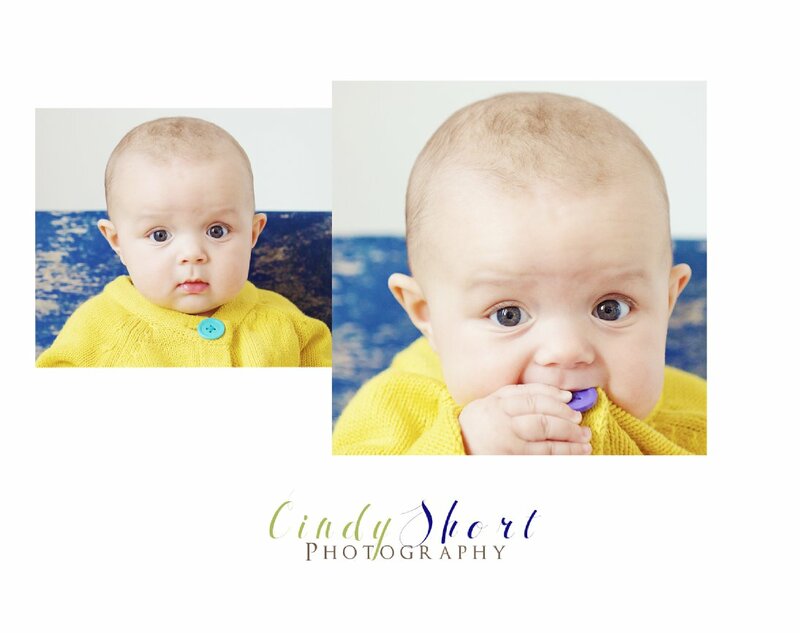 Little Olive changed into a Spring sweater and we headed into my studio office where she quickly discovered her toes. Then she realized that she was on camera and turned on her million dollar smile and even showed off her little tongue. Clearly, I have the best job ever! If you or someone you know is expecting, contact me for information on my Baby Plan. Because you don't want to miss one moment of that precious first year! 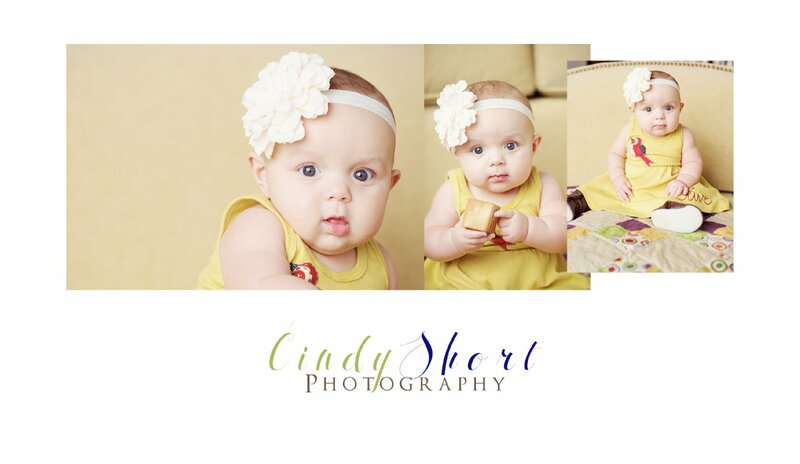 Cindy Short is an on-location photographer who uses natural light to create beautiful art of the people you love. Her background in journalism, naturally stirs her to want to tell your story. Cindy will help style your session to show off your true beauty and offers design services for creating wall art and albums that compliment your home. Cindy's family includes her husband, Bryan, three children and the most beautiful granddaughter in the world. Her family also includes three dogs and a kitty cat. Cheryl Thomas - I love how you weave the blog in with awesome photos. We get to relive the photo shoot with you. Summer Alexander - Absolutely Beautiful! Olive and the photography, great work! Cindy - Thank you Debi and Cheryl! Your kind words made my day. Cheryl Cope - I absolutely love your comments!! I love the way you capture who people are in words AND in photographs. Debi - You sure do catch the essence of a person....adorable picture!